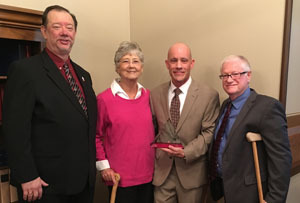 Mark Walsh, a volunteer with the American Diabetes Association for over 10 years, was the recipient of the Sally Joy award at the Diabetes Month Capitol event on November 17th. 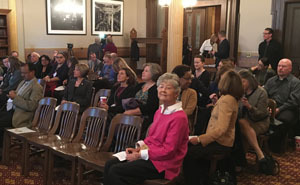 Mark was recognized for his outstanding advocacy and passion for community programs that have improved the lives of people living with diabetes in Michigan. Mark helps year round with the planning for the ADA Camp Midicha and the diabetes family retreat. Mark stays at camp for almost 3 weeks straight, giving up his time with family and friends in the summer. He has sleepless nights caring for children with diabetes at Camp Midicha, ensuring that all have an enjoyable camp experience.